Hygiene is extremely important for restaurants of any kind. It is a sign of how important the client’s comfort is for the owner. Hygiene starts with a good cleaning routine in the entire kitchen and a high quality dishwasher. There is nothing worse for a client than drinking water from a dirty glass. Even if one employee dedicates their time an effort to wash the dishes, there is room for human errors. In those cases, a dishwasher is the best choice. Not only makes everyone’s job easier, it will also increase the overall hygiene in the restaurant. We assume that if an item is expensive, it must be the best. These items are often made with better materials or are designed to deal with extreme circumstances. 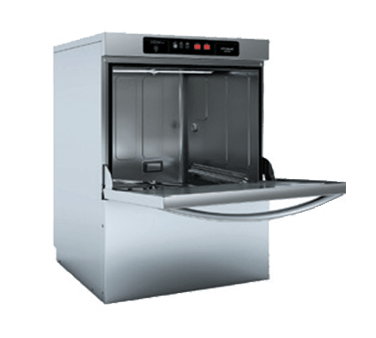 When it comes to dishwashers, the most expensive is not necessarily the best for your establishment. Before purchasing an expensive, state of the art piece of machinery, stop and consider your kitchen. Is there enough space? Sometimes the size of the kitchen will not allow the installation of the dishwasher. Let’s say you actually have enough space, is it what you need? A small restaurant with hardly 15 tables and a restaurant at a popular hotel do not have the same needs. Consider realistically what kind of dishwasher goes with your kitchen. Fagor is considered one of the top brands on equipment for kitchens. Each model is designed for different needs. The Fagor dishwashers are user-friendly so anyone can use them. Their goal is to provide their clients with high quality products for a reasonable price. Chef’s Deal shares that vision and for that they have several Fagor dishwashers on sale. New or used, Chef’s Deal has the best prices for every piece of equipment you need. There are different Fagor dishwashers on sale at the moment. Opening a new business is not a cheap process. There are many items to acquire and not enough money. In that situation, purchasing a cheap dishwasher may sound like a good option. Thanks to the Chef’s Deal, small business owners can buy used or new equipment for an incredible price. Fagor dishwashers on sale sound ideal but even then the price could be out of your budget. For those situations, Chef’s Deal Restaurant Equipment partnered up Quick Spark Financial. Their plans adapt to the client’s reality. Take any of the Fagor dishwashers on sale for only $70 a month. These plans apply for new and used Fagor dishwashers on sale. Stay on budget, get financial help and equip your kitchen only with the best brands. A used high-quality used dishwasher is the first step into the right direction. Only Chef’s Deal Restaurant Equipment has a team of professionals ready to help.